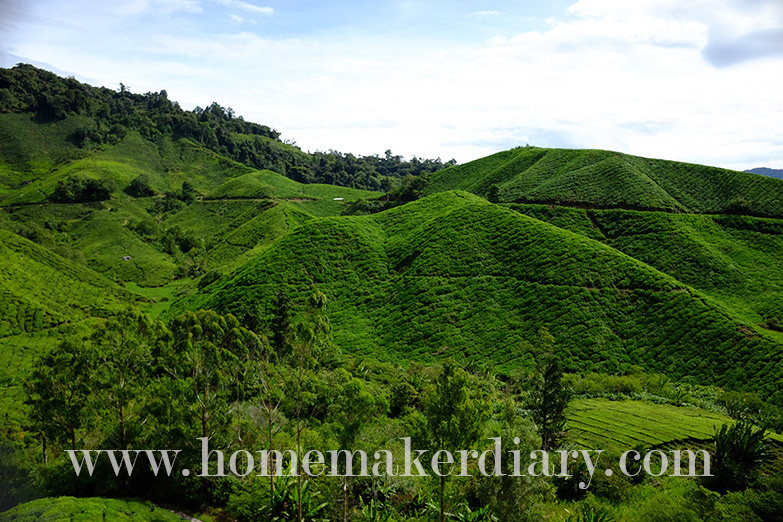 This is my second visit to Boh tea plantation in Sungai Palas, Brinchang, Cameron Highlands. The first time was about 14 years ago. 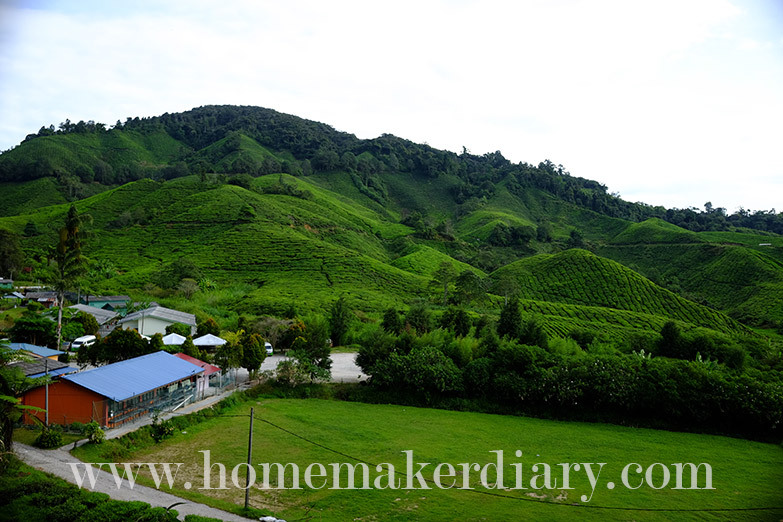 Many things have changed for example the ride up to the tea factory and tea centre. Last time we can drive straight up the hill but now you have to park at the bottom, near the staff living quarters and walk up the hill. The tea plantation is open everyday except Monday for public from 9 am to 4:30pm. The admission is free. If you come early, you can see how they process the tea at the factory. 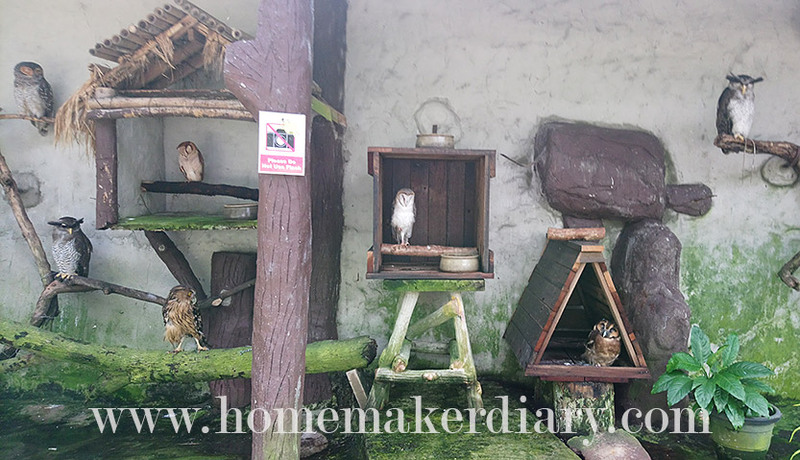 I have taken some pictures in the factory but I will have to wait for permission to publish them in my blog. BOH Plantations was founded in 1929 by J.A. Russel, a British businessman during the British colonial era in Malaya. He was optimistic of the tea plantation business due to huge demands despite of the world-wide Great Depression at that time. 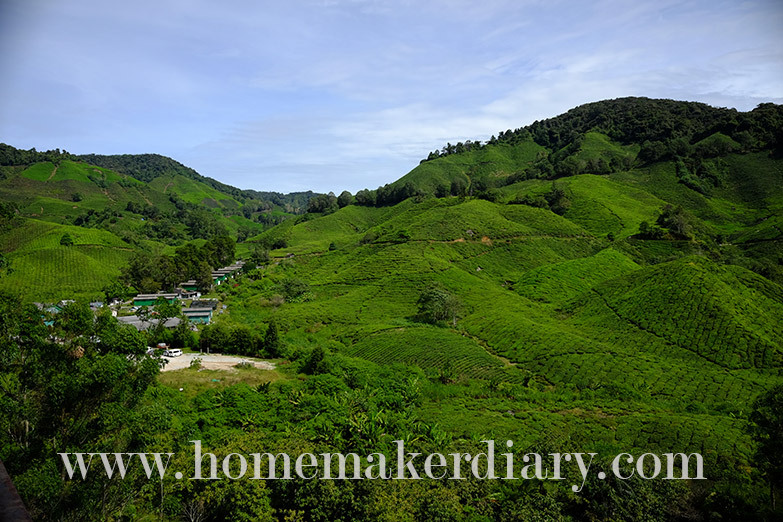 As a result of the potential, he applied for and was granted a concession of land for his first tea garden in Habu, Cameron Highlands. 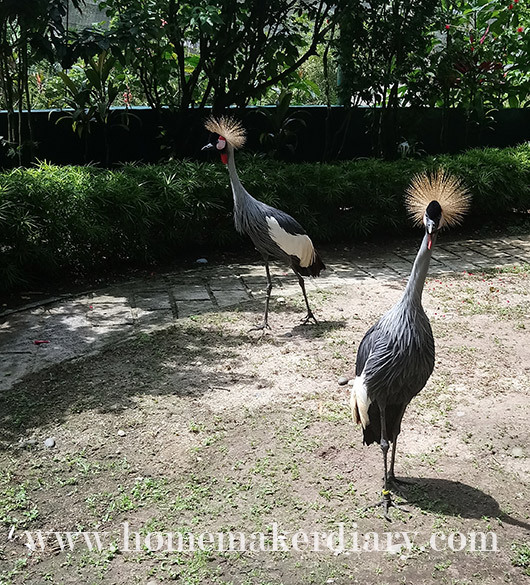 Today, BOH Plantations owns three tea gardens – the first garden in Habu, Fairlie Tea Garden and Sungai Palas Tea Garden. 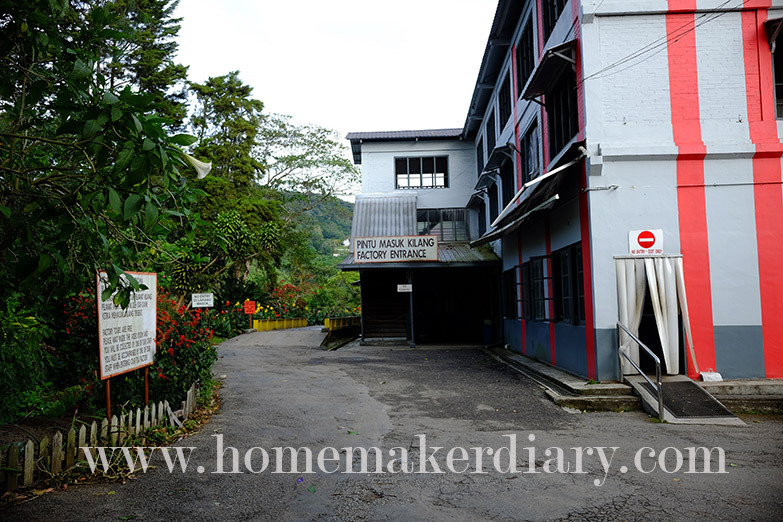 To ensure the freshness of its tea products, BOH Plantations also set up a packaging factory near its main garden. BOH tea products are distributed both in domestic and international markets. There is also exhibition hall, audio visual room and souvenir/retail shop at the Sg Palas tea centre. I bought a lot of BOH products at their retail shop since I am a tea drinker. 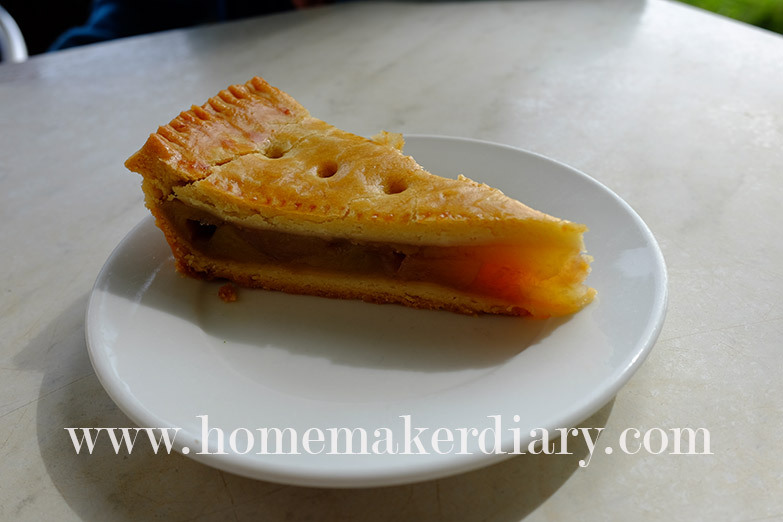 Make sure you go to their cafe to enjoy the premium tea and snacks like this apple pie while enjoying the captivating panoramic view of the tea plantation. When I was there on the balcony, it was so windy. It was refreshing to eat the pie while sipping on the hot tea. After the tea and the pie we walked down to our car. There is another way to go up and down to the centre from the designated parking area. You can take picture and even rest for a while on the bench. 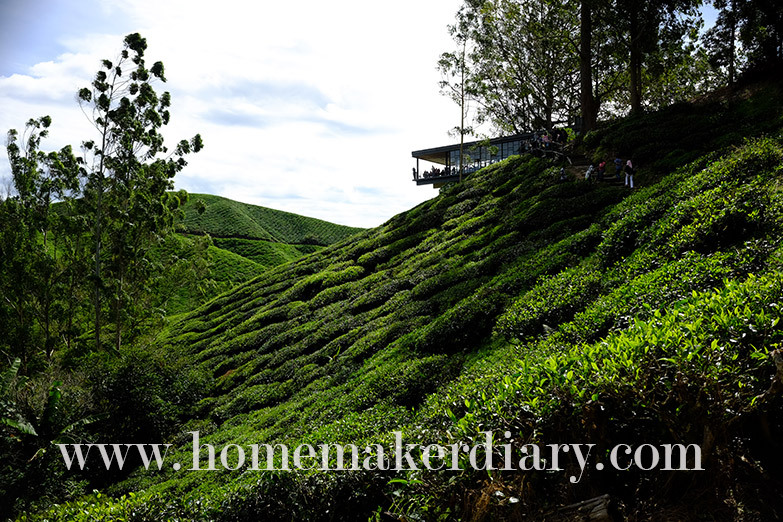 If you are bringing a child on a stroller maybe you have to walk on another road as the one by the tea bushes have many stairs. 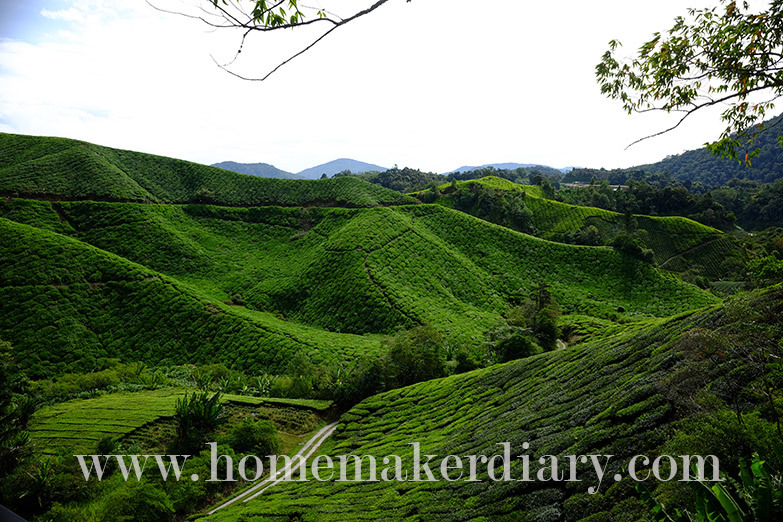 It was a great experience for me to visit BOH Sg Palas tea plantation again after all these years. 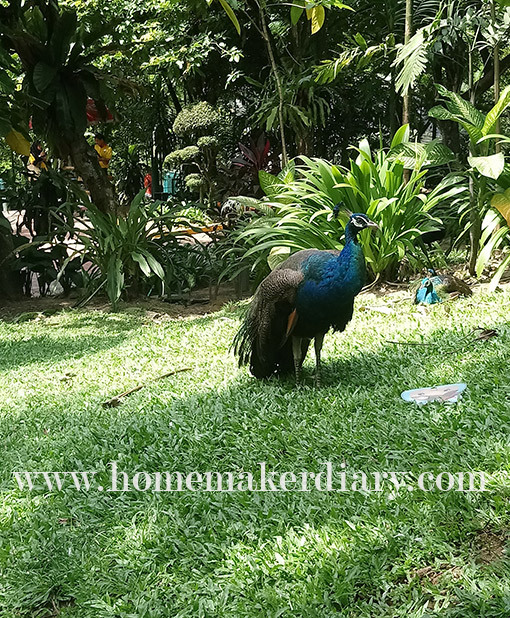 If you happen to come to Cameron Highlands and love nature, this place is a must visit. Untuk yang masih mencari tempat untuk belajar seni decoupage, kelas seterusnya akan diadakan pada 25 March 2018, hari Sabtu jam 2 hingga 5 petang bertempat di Puchong. Peserta kelas akan diajar asas mewarna permukaan, menggunting dan menampal tisu, teknik shading, menekap tulisan dan mewarna tulisan di atas medium decoupage. 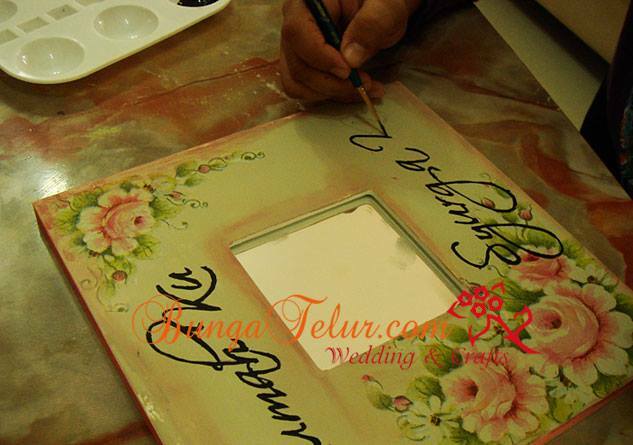 Setelah semuanya siap, pinggan atau frame kayu akan divarnish. Yuran untuk kelas asas ini sangat berpatutan, hanya RM80. Medium decoupage yang digunakan untuk kelas adalah dari jenama Jo Sonja, Americana dan Plaid. Kelas komersial di luar selalunya mengenakan caj dari RM150 ke atas. Jika berminat untuk menyertai kelas ini, anda boleh hubungi saya menerusi email farah[at]bungatelur.com atau sms/WA ke 012 6482121. 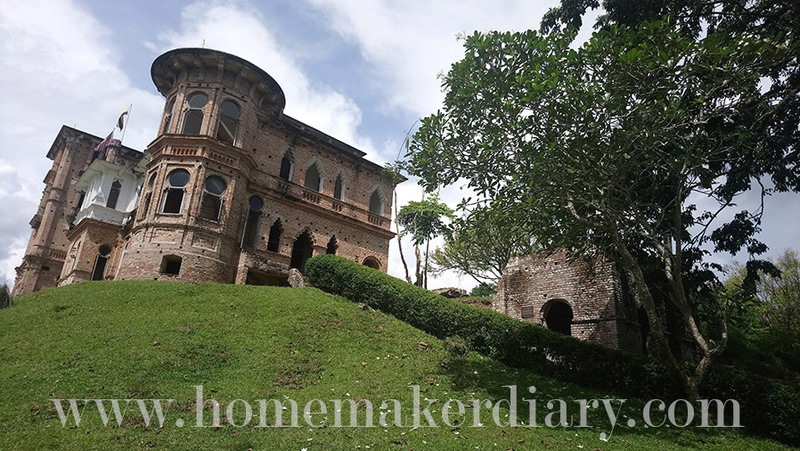 I’ve heard about Kellie’s Castle many times but never thought I would actually go and visit the place. However since the castle was on the way from the destination we went to a few months ago, I decided to stop and have a look. 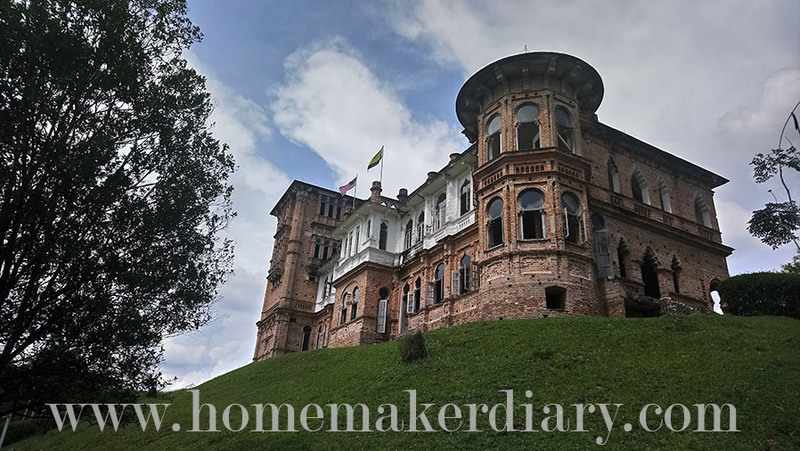 The Kellie’s Castle was meant to be the center of the wealthy colonial planters and administrators to socialize. The mansion was built with a six storey tower, magnificent columns and even a wine cellar. 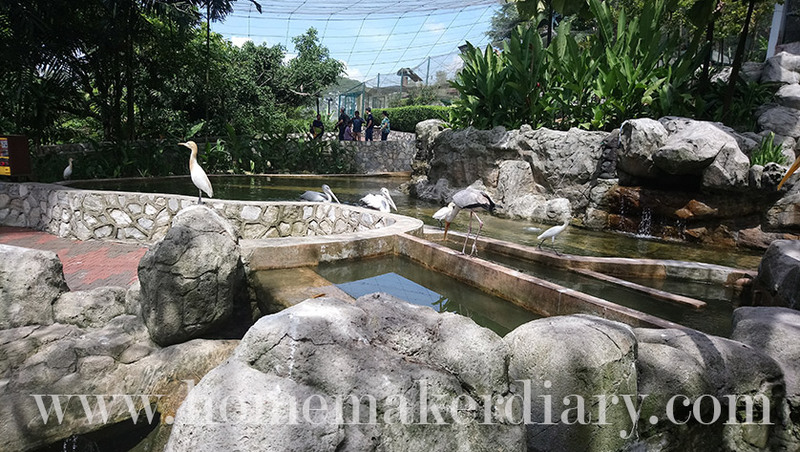 There was also to be a rooftop courtyard for holding parties and an elevator which was at that time, the first in the country of Malaysia. Though plans were grand and full of luxury, the building was never completed. Construction began in 1915 but came to a halt in December 1926 with the unexpected death of its owner, William Kellie Smith. The entrance ticket is RM5 for adult, and RM3 for kids. It is open from 9am till 6pm. 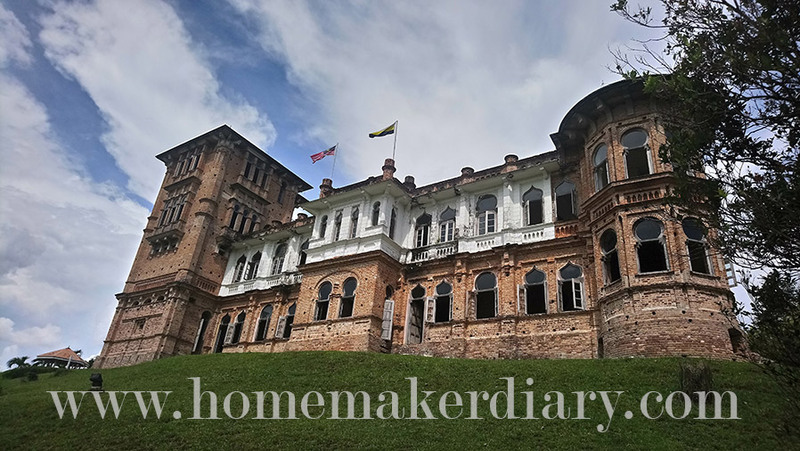 If you are a history buff and already in the area of Ipoh, go have a look. Who knows you might see some ghost apparitions while you are there! Last month I tried the service of Seafood Delivery after reading the advertisement in Facebook. 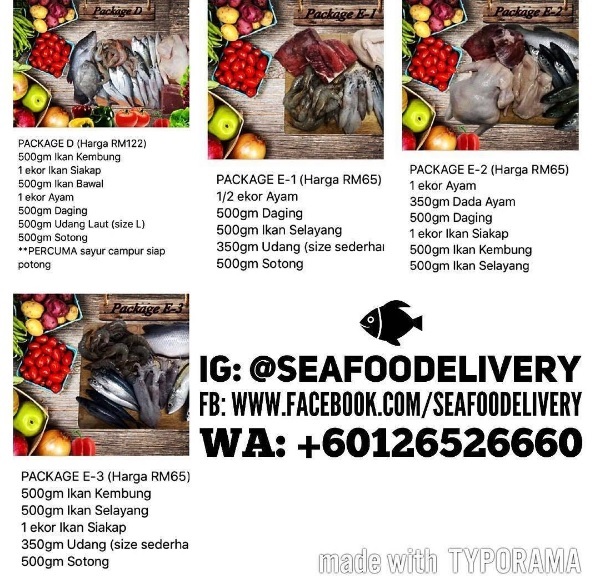 They deliver fresh seafood from Kuala Perlis direct to your front door for the Klang Valley area. The price quoted in the package is inclusive of the delivery charge. If you want to add on items you can do so after choosing one of the packages. 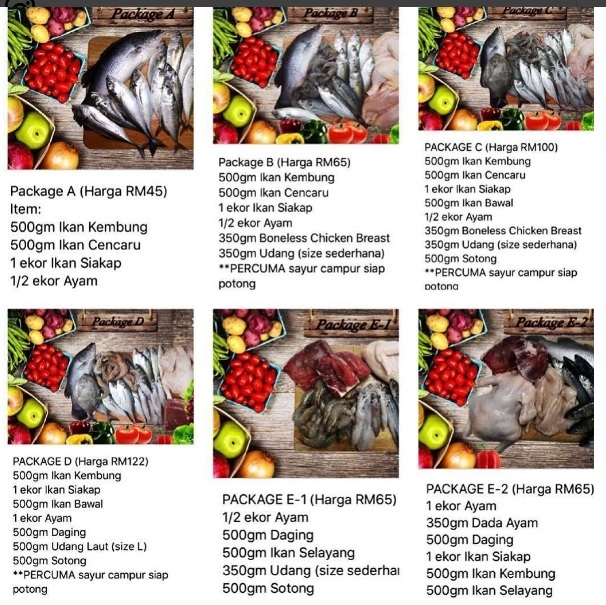 The cheapest package is RM45 for package A. For the first purchase I chose package E1 and add 1kg of ikan kembung. They sent the items around 5pm as per my request since I was home. For those who are working, they do their seafood delivery at night. 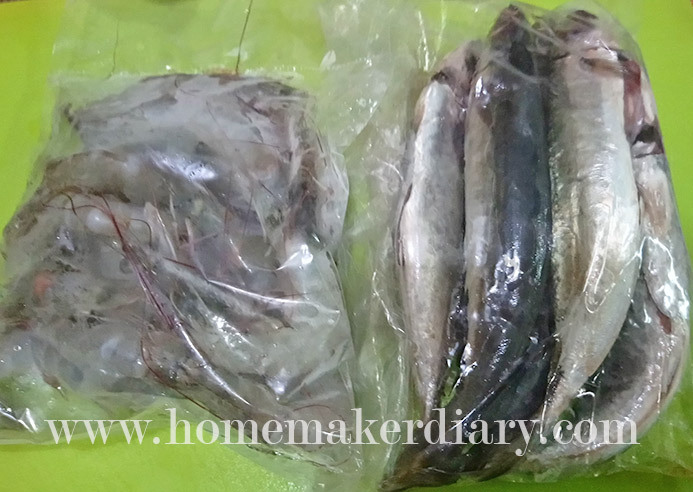 The 1kg of ikan kembung as in the above picture were all cleaned and packed nicely. You just have to pack it in your own packaging to store in the freezer for later use. What I love the most about the fish they delivered is that it was very fresh. The way they cleaned the fish is also very neat. The half chicken was cut into pieces. 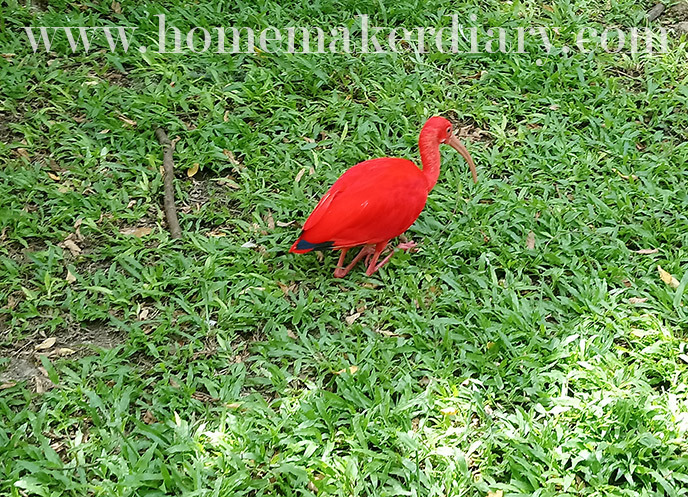 You just have to rinse with clean water and it will be ready to be cooked. Even the squids were cleaned. So you don’t have to worry about cleaning the squid ink. The beef was cut into big chunks like that. They sell imported beef, not the local one. The prawn was not deshelled. Some people might prefer to have the shell intact when cooking certain dish with prawn. 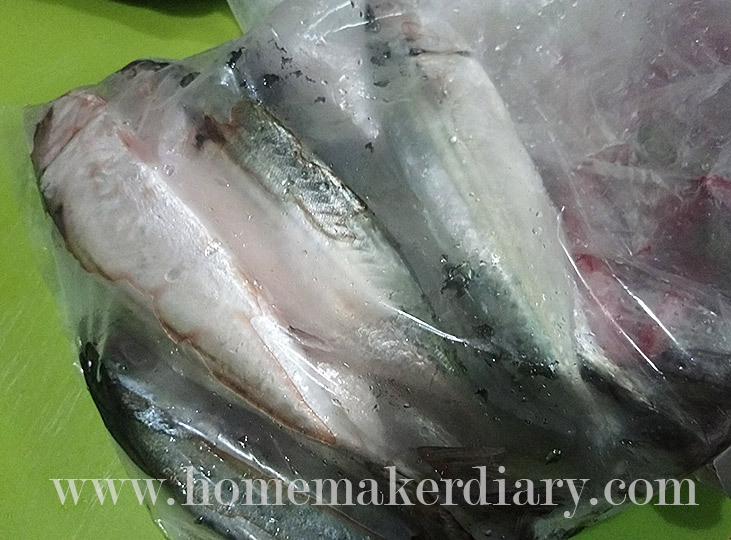 The other pack in the picture was ikan selayang/sardin. 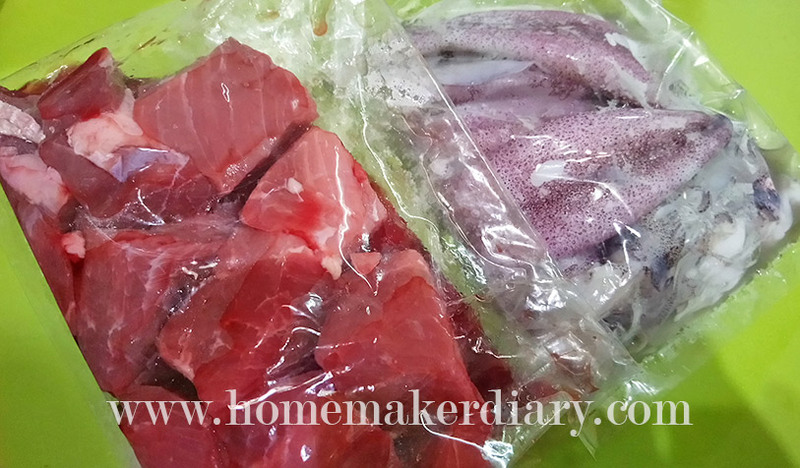 The fish was cleaned properly just like the 1kg ikan kembung I ordered separately from the package. 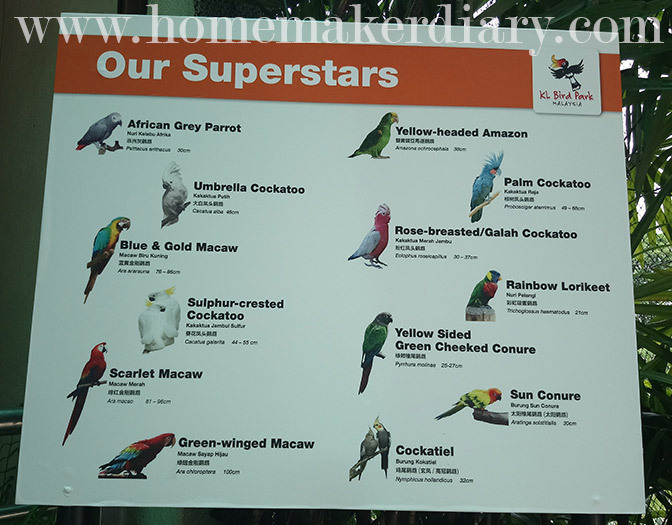 Overall I am really satisfied with their service. All the communication between the seller and me, and the delivery person was done via WhatsApp. 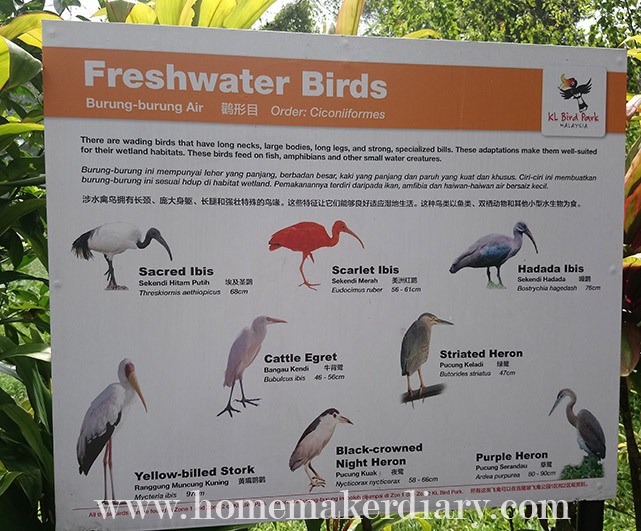 It is convenient to get all the wet ingredients like chicken, fish and prawn delivered to your doorstep without having to brave the traffic.